Samsung recently delighted the users of Galaxy S9 (review) and Galaxy S9+ (review) ahead of Christmas by rolling out the Android 9.0 Pie-based One UI. However, it seems that for Bixby users, the happiness was short lived. 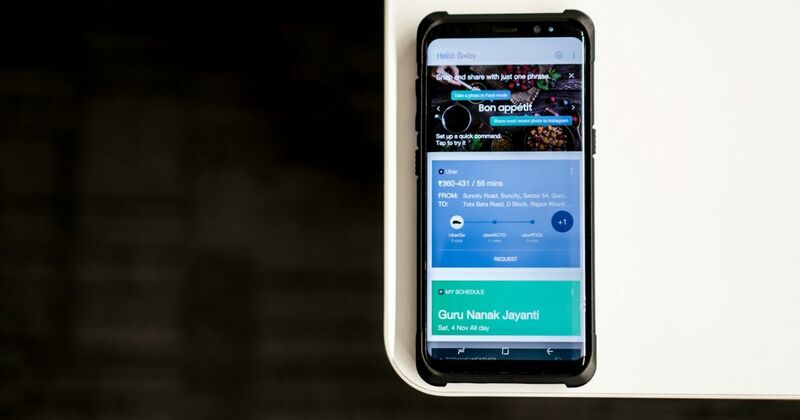 Several users have reported that the updated Bixby 2.0 that comes with the latest software seems to carry a lot of bugs. The issues seem to have affected the Galaxy S9 duo as well as the Galaxy Note9. According to a report by SamMobile, the latest Bixby 2.0 fails to understand a host of commands that worked perfectly with the original Bixby. According to the report, when trying to book an Uber using Bixby 2.0, the assistant failed to pull up the Uber app. Furthermore, the proprietary smart assistant also couldn’t perform tasks like updating apps, showing YouTube subscriptions, checking for a software update, and enabling Dolby Atmos. This issue seems to be limited to the Bixby 2.0 update and not Android update since devices running on Android Oreo are also facing the same issue. Considering that the Bixby 2.0 was unable to complete some of the tasks that were showcased by the brand at the Galaxy Note9 launch event. While the general speculation would be that the Bixby 2.0 servers are not fully operational as of now, that doesn’t explain the fact that why the second-generation Bixby fails to perform the same tasks as its predecessor. Further, the Samsung Galaxy Note9 has been in the market for nearly a quarter of the year now and not being able to use what was promised happens to be frustrating for the flagship users. This comes as a surprise since Samsung hyped Bixby 2.0 by stating that its more adapt at understanding the command and making more natural conversations. We will bring you more updates as and when they emerge, so stay tuned.